The brown marmorated stink bug is native to Asia, but this invasive species has settled in the United States, wreaking havoc for farmers. In 2010 the stink bug destroyed crops in the mid-Atlantic region; apple crops alone were destroyed to the tune of $37 million. Because the stink bug is not native to the States, it has no natural predators in the country to control its numbers. The hunt is on for a predator to tackle the stink bug problem. The main predator of the brown marmorated stink bug in its home territories of Japan and China is the parasitoid wasp. Over 70 varieties of parasitoid wasp prey on stink bugs. They are potentially useful in the control of stink bugs in the States, because they attack stink bug eggs, laying their own eggs inside so the baby wasps kill the bugs before they’re even born. Unfortunately these wasps also attack the eggs of less harmful stink bugs, meaning that to import them into the States in order to control brown marmorated stink bugs could lead to the devastation of non-pest species. Assassin bugs, of which there are over 6,000 types, are extremely useful to the global ecosystem because they feed on other bugs, including the brown marmorated stink bug, helping to prevent any one species from getting out of control. They are potentially useful in the controlling the numbers of pest stink bugs in the States, but some species also attack humans and can spread diseases such as Chagas disease, better known as sleeping sickness. Their bites can also cause allergic reactions in humans. Not all stink bugs are pests; in fact some are useful. 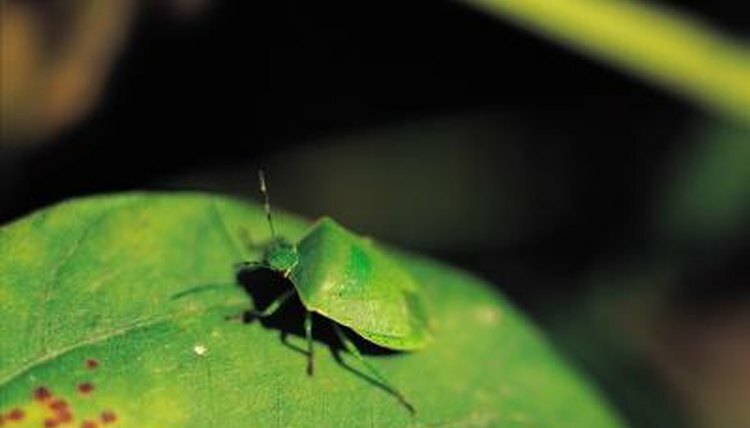 Predatory stink bugs feed on other stink bug species, including the brown marmorated stink bug. However, the introduction of this species poses a similar problem to the introduction of the parasitoid wasp—namely the possibility that they’ll kill off other non-pest bugs too. Scientists are working on finding the best solution to the stink bug problem. They believe the stink bug migrated to the States in order to live in a habitat free from predators, a natural evolutionary move for any animal. The parasitoid wasp is considered the best chance of lowering pest stink bug numbers, but the challenge to find the variety of wasp that poses the lowest threat to other essential insects remains.